On Friday night at the M.C.G. the 13th and 14th placed sides on the AFL ladder will face off and yet it’s genuinely a big game. It’s Collingwood versus Carlton, and the long and aggressive history of this rivalry means whenever they meet, regardless of ladder position, there’s something on the line. The reasons behind the intensity of this rivalry go right back to the 1910 VFL Grand Final and the aftermath of that Magpies premiership win. Disputes on and off the field around that season decider launched one of the most famous and intense rivalries in world sport, let alone Australian sport. In recent years the rivalry has been seen to decline a little, but within the coaches, players, fans and staff at the clubs it’s still one of the fixtures you circle when the draw comes out each year. 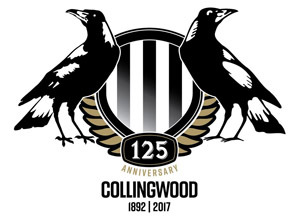 Recent history between the two favours the Magpies, as they’ve closed the gap in the overall standings to just 3 games before Carlton sprung a surprise and defeated Collingwood in round seven by 15 points. As it stands now, with only spot and one win separating them on the AFL ladder, this is a game that either side would expect to win. The form of the Pies and Blues in season 2016 is pretty similar, with respective wins over Geelong, surrounded by losses to teams like St Kilda, Richmond and Melbourne. It’s hard to say who has the better form going into this game though although Collingwood is at least coming off a last start win. It’s been yet another disappointing season for Collingwood yet it could still get worse. A few weeks back the Pies lost to Melbourne for the second time in the one season, something that hadn’t been seen since 1988. If Carlton then inflict another defeat on Saturday night the record might not be as historic as the double loss to the Demons, but it will probably hurt more. The Pies have dominated Carlton in recent years and to lose to them twice this year would be seen as a disaster. There is hope though, because when the Magpies have turned up, for lack of a better phrase, they have still been a hard team to beat of late. That showed last week when after 2 bad losses and a bye to refresh minds and bodies, the Pies destroyed a fellow struggling team in Fremantle at the MCG. The Dockers were never really in the game as Collingwood recorded it’s 5th win of the season with a 48 point win. If you combine that with the 2 wins against Geelong and Brisbane this Magpies outfit can still cause trouble for the opposition on it’s day. In that big win over Fremantle the most promising signs came from the Magpies youth as several youngsters really impressed. Jonathan Marsh, Josh Smith and Brayden Maynard stood strong down back, while Tom Phillips, in only his second senior game, showed enormous potential especially with that effective left boot of his. The senior players also lifted too though, with Treloar, Sidebottom, Pendlebury, Reid, Howe and Williams all helping the Pies to one of their most impressive wins this season. Travis Cloke and Nathan Brown also returned to the team after spending time in the VFL and both were serviceable on the day. The thing that was most noticeable though was the effort and intensity of the Pies players from the first minute through to the last. That hasn’t been seen too often this year and that has brought about questions from fans about why there’s such an inconsistency when it comes to overall effort. No matter how Collingwood are traveling a win over the old enemy always boosts the club up so this game still has plenty of importance. At selection there doesn’t seem to be the need to make a lot of changes. The VFL side had yet another strong win on the weekend (fifth win in a row) but it’s hard to see anyone from there being promoted this week. Darcy Moore is the talking point this week though with the star young forward likely to be fit to return from a collarbone injury. 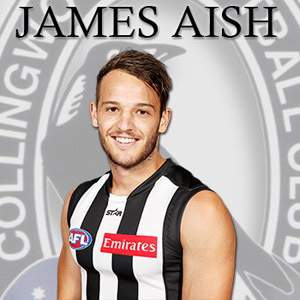 If Moore does come up, and is deemed fit enough to play seniors, Travis Cloke or Jesse White are the two most likely to be considered for omission. There’s not a lot of future in either of those players, as harsh as that is, but neither will want to miss such a big game as this. It’s not too often that a side sitting in 13th position after 13 games is happy with their season but for Carlton that is the case. Many tipped them to be a wooden spoon contender again, and while they aren’t exactly pushing to play finals sitting with 6 wins and 5 losses at the half way mark was impressive indeed. The last two weeks have brought them back to reality a little bit but Brendan Bolton’s team has already surpassed expectations. The Blues have done this in a number of ways. Their game plan is visibly more solid and being followed well by the players. They’ve added both young talent but also some much needed experienced talent and it’s made them competitive straight away. Of course they already have one win over the Magpies this season so to do the double would be the icing on top of the seasons’ cake. Carlton aren’t your atypical AFL team, they rank down the bottom for clearances and contested possessions yet because their efficiency in regards to ball use is high, they are quite effective going forward. Their midfield though does struggle winning the contested ball, with the absence of Murphy, Armfield and Boekhurst obviously effecting that. Patrick Cripps has been remarkable in just his second season though, and is leading the way (by a fair margin) in those 2 main midfield categories. He’s been getting some help in the middle from the likes of Gibbs, Curnow, Kerridge and Wright but the Blues midfield isn’t as deep as most. The good news for them is they run into a Pies midfield that isn’t any deeper. Yes it’s got the top end talent in Pendlebury, Sidebottom and Treloar but like the Blues the Pies rank only fairly for contested possessions and dead last for clearances. Carlton should have the edge in the rucks though with Kreuzer being much more experienced that Grundy. The Blues backline is still a work in progress, but already in 2016 under a new senior coach it has improved dramatically. The Carlton defense is currently the 8th best for average points conceded, and considering that a first year player (Weitering) has played a lot of games in a key position role, that’s quite impressive. Of course there’s some experience down back too with Simpson, Rowe, Plowman and Tuohy all helping the youngsters out as they transition into this new look Carlton defense. The Blues do rank just above Collingwood for rebounds from defensive 50 and that’s no surprise given the good ball users they have. 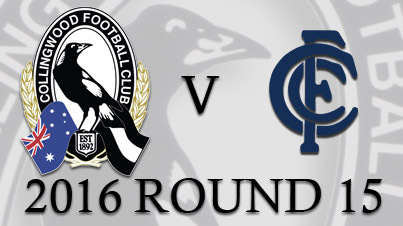 Carlton get lucky once again here, as they face off against a Pies forward line missing Fasolo, Elliott and Swan. That should allow their defense to take control of the game at times. If the Blues have a real weakness, it’s their forward line. Carlton only has 3 players who average over a goal a game and Liam Jones, who most likely won’t play this week, is one of those. Although Carlton sit 13th on the AFL ladder they have only scored the 17th most points, leaving them only ahead of Essendon at the moment. That’s not really a shock considering the amount of attacking talent that has left the Blues in recent years, but it has to be a concern for the future. Levi Casboult will be looking to repeat his effort from the first meeting between these two, when he managed to take 11 marks and kick 3 goals. The Pies backline has been better in recent times with Reid, Howe, Williams and Brown forming a strong partnership down back, and they do face off against one of the weakest forward lines in the AFL. The Blues will obviously see this as a big game on so many levels. First it’s their biggest rival, the team they’ve hated for over 100 years now. Second they are coming off back to back losses and are in danger of losing all that positivity that was around the club after the 6-5 start. On paper they should be winning this game too. They have the shorter injury list when compared to the Pies and their best football this season has been better than Collingwood’s. To win though they will have to play better then they have in the past 2 games but it’s almost a given that they will. At selection there may be a famous name debuting with Jack Silvagni tipped to play his first senior game on Saturday night. It would add another layer on top of an already enticing game. This is a damn hard game to tip really. Carlton should go into the game as favourites based off what happened in the first meeting and the relative injury lists. In that first game it was only a burst in the third term from the Blues that decided the game, and with the Magpies having a more stable team now, it should make for a cracking match. It really will be about as close to a final as these two get in season 2016. You can almost throw recent form out the window here because the two clubs have been so inconsistent this season that it’s hard to judge which version of each will turn up. I’m going to tip the Pies (as usual of course) and I’m basing it on their ability to score. If Darcy Moore returns I can see Collingwood converting their chances better and winning a really close, hard fought game. As if one Carlton vs Collingwood game wasn’t enough, the teams will also do battle in the VFL on Saturday in the first leg of a double header. 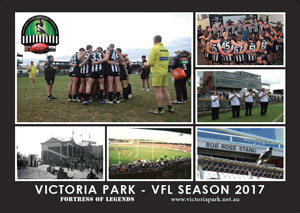 The Collingwood VFL team and the Northern Blues will play at the Holden Centre oval with a start time of 4pm.